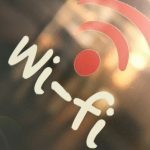 If there is one thing that doesn't shock me anymore, it's the fact of how prevalent and pervasive incorrectly deployed Wi-Fi is across the small to midsize business (SMB) landscape. The sober reality is that Wi-Fi has an extremely low barrier to entry thanks to a bevy of options on the market. But a well-tuned setup that accounts for proper coverage levels, speeds, and client counts in a measured manner is almost as much of an art as it is a science. Hence why more often than not, clients are calling us for an SOS to help save them from their own Wi-Fi hell. 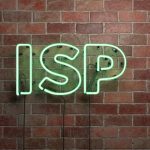 Let me clear the air right off the bat: most SMB owners are making more than one major mistake in their hunt for an Internet Service Provider (ISP). The big players in the ISP space love preying on the SMB market because it's so easy to oversell bandwidth, obfuscate the facts, and generally make the process a "smoke and mirrors" game which serves to their advantage. I'll be the first to admit that broadband shopping is a tricky affair. Service areas for ISPs and their various offerings are as arbitrarily drawn as gerrymandered political districts in the US. Their sales reps are generally trained on how to guilt trip SMB owners into too much bandwidth by relying on keywords like 'productivity' and 'downtime'. And most decision makers have no idea how to shop for broadband based on actual usage needs and instead let ISP reps make this judgement call for them. All of these factors contribute to ISPs having an unfair advantage in negotiations, upselling services and pipelines that merely line sales rep quotas. 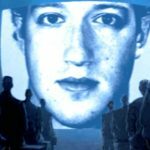 Taken at face value as an isolated incident, Facebook's most recent data breach leak allegations may seem like a plausible case of corporate malfeasance. But that's giving Zuckerberg way too much credit, as someone who has been gifted every olive branch possible from his global community of users. And yet one who has consistently, and awkwardly, dropped the ball each time. Are we dealing with a case of a CEO who can't keep the wheels straight? Or is there more going on behind the veil then anyone wishes to admit? I've been pondering this question more and more recently. It seems like Facebook can't go more than a few months without another bullet that needs to be dodged. It used to be that Facebook was navigating user blowback due to feature changes. But it's quickly getting into incessant hot water about privacy blunders and functional changes purely centered on being able to siphon every last drop of data out of users. Ever since game consoles first started seeing internal hard drives, I've been fascinated with hardware previously reserved for PCs rearing their head inside living room systems. The PlayStation 2 toyed with the idea of an expansion bay that could take an HDD, even though it was near useless for 99+ percent of games. But it was the original Xbox which finally shipped with an HDD built in, making this concept a mainstay from then onward. This holiday I took the chance to treat myself with an Xbox One X to replace my original edition Xbox One. 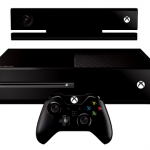 I've loved the Xbox One ecosystem so far, and previously outlined all the major reasons why I feel the Xbox One is the clear choice (IMHO) over the PS4. Yet the one area that Microsoft continues to boggle my mind is with its choice of drive type for internal storage. 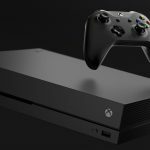 Xbox One game install and patch storage needs were already growing, and now with the Xbox One X, 4K game asset patches are getting crazy large. Quantum Break is one egregious offender, with 4K assets coming in the form of an additional 94GB it has been reported -- putting its total install size at almost 178GB. 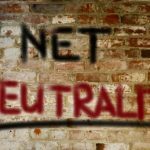 As the vote to determine the fate of Net Neutrality regulations looms in the FCC, I've been taking a harder look at where I stand on the issue. Personally, I've got vested interests as a consumer that relies on many net-connected services in my daily life. And professionally, I own an IT business that lives and dies by the availability of countless net-centric ecosystems. But every angle from which I examine the issue upon, I keep coming back to a common conclusion: Net Neutrality just isn't needed. Before you slam your keyboard and roll me in as some blind Trump admin shill, I want to be transparent about my background. I've been working professionally in the IT industry for almost 13 years now, and have run the Managed IT Services tech business FireLogic for the last 8 of those. That's in addition to a Master's degree in IT PM, countless tech certifications, and being on the SME advisory committee for the globally recognized Computing Technology Industry Association. Solely based on media coverage, you'd think that all of Silicon Valley and the tech world at large was undoubtedly behind Clinton in this critical election. But as has been reported in muted fashion by a few outlets, there is such a thing as the "silent majority" which is going to surprise many this election. I'm confident that polls are having a hard time capturing the factor that quantifies this part of the electorate which isn't being vocal about its Election Day preferences, but will deliver a decisive blow come Tues Nov 8. 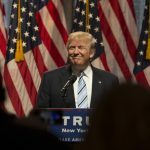 Those in the tech industry publicly supporting Trump are far and few in between. And it's not entirely surprising. With the amount of undue heat that Peter Thiel, a gay conservative who co-founded PayPal, is receiving, it's not shocking to see many staying mum about their preferences. But with such an important election at stake, and with candidates who I see as having vastly different consequences for America, sitting idle and staying silent is perhaps a worse reality than risking standing on the losing side of Election 2016 history. Corporate leaders, especially those considered thought leaders, have a firm right and assumed expectation to voice their opinion on public policy. As such, I've got no inherent issues with Facebook's founder and chief, Mark Zuckerberg, proclaiming his positions publicly -- even if I happen to blatantly disagree with them. 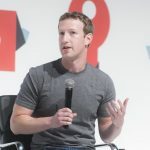 Mark and other leaders of their respective industries have something very intrinsically unique that most others do not. That comes in the form of the power of the pulpit. It places their opinion in a position which bring inherent weight and reach which many could only dream of. Yet, this advantage comes with a social responsibility so as to not abuse or otherwise misuse the privilege. After spending the last few days soaking up as much as possible on the Apple-FBI San Bernardino iPhone spat, the evidence -- in my eyes -- has become crystal clear. 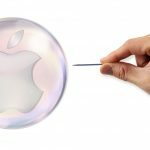 Apple's planted itself on the wrong side of history here for numerous reasons, and is using nothing less than a finely scripted legalese tango in defending its ulterior motives. As a part time, somewhat auxiliary member of the tech media at large, I'm a bit embarrassed at how poorly this story has been covered by my very own colleagues. Many of those who should undeniably have a more nuanced, intricate understanding of the technical tenets being argued here have spent the last week pollinating the internet with talking point, knee-jerk reaction. As an IT professional by day, it's a question that has confounded me for some time. 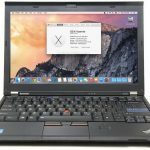 I've tossed it around in my technical circles, trying to get a feel for what true reasons exist for Apple's double standard when it comes to not allowing OS X onto other platforms -- but gladly allowing Windows to run natively via Boot Camp. How come Apple doesn't allow PC users to install and run OS X on the hardware of their choice? "UniFi is the revolutionary Wi-Fi system that combines Enterprise performance, unlimited scalability, a central management controller and disruptive pricing." That's the pitch thrown by Ubiquiti Networks right off the homepage for their popular UniFi line of wireless access point products. In many respects, that statement is right on the money. But as the old adage goes, sometimes you truly do get what you pay for. And when it comes to UniFi, that tends to be my feeling more and more, seeing the gotchas we have had to deal with. We've continued to choose their access points, primarily in situations where cost is a large factor for our end customer. Who wouldn't want Enterprise level features at a Linksys level price? 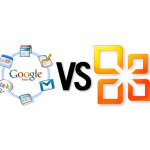 If there's one common request I get from readers via email, it's that they want an updated deep dive on my thoughts regarding the whole Office 365 vs Google Apps debate. It's a topic I've written about on numerous occasions in the past -- dissecting the facts, wading through the FUD, and piecing together my honest opinion on who comes out on top. But it has been years since I dove into the crux of the debate, honing in on why one suite beats another in the important aspects that set them apart. And in the world of IT, years is an eternity. As someone who is always on the prowl for new podcast material to enjoy, I recently came across one which is hosted by a name familiar to many in the States. Joe Rogan -- currently best known for being lead color commentator on most large UFC PPV events -- doubles as someone who hosts an interesting podcast under the simple guise of "The Joe Rogan Experience." Specifically, episode 680 of his podcast showed up on my phone today, and it featured a lengthy discussion with a Steve Hassan on the intriguing topic of cults. Hassan is a mental health counselor who has personal experience with cult entrapment, as he was once a member of the Moonies. He dove into a variety of areas surrounding cults and their characteristics with Joe, and if interested, I recommend listening to his appearance on JRE 680. The real reason I plugged Joe's show is because during the episode with Hassan, the relevant topic of Apple naturally arose at one point. The question at large was thrown out in the wild. 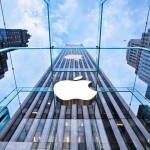 Is Apple and its following a cult? Pitiful Wi-Fi implementation is so prevalent these days that people take it for granted. From the hotels we visit, to the cafes we frequent, down to the offices we call home 9-5 daily. And that's unfortunate, because when done right, Wi-Fi is an enabler for connecting us wherever, whenever. 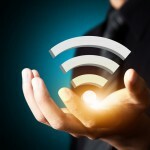 Why can't most organizations get Wi-Fi right? 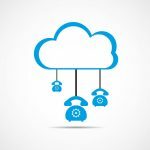 Too often, cloud hosted VoIP gets a bad rap on the internet. People bashing provider A because call quality stunk. Or giving provider B a tough time because staff constantly had "fishbowl effect" issues with the service. I've read many of the reviews out there, and I'm here to set the record straight about cloud VoIP: the majority of these negative reviews are pointing fingers the wrong direction. Much of what people see online about cloud hosted VoIP negativity is FUD -- partially being peddled by customers with poor networks, and partially by some nefarious traditional premise-based VoIP telco providers trying to stem the wave of customers moving to the technology. I owe Sony a lot of credit. It wasn't the original Xbox and the young Xbox Live service that gave me my first taste in console online gaming. It was my beloved PS2 that connected me to the early adopters skating around Tony Hawk Pro Skater 3, and wannabe commandos practicing flanks together in the original SOCOM. With an add-on Ethernet adapter and LAN cable strung halfway around my house, the PS2 allowed me to engage in an activity that gamers on most modern consoles take for granted. Getting online with PS2 games was part test of patience and part geekdom experiment. PlayStation Network wouldn't launch for another four years or so, and one console later -- on the PS2, you were truly on your own when it came to navigating online gaming. Derrick Wlodarz is President and Founder of Des Plaines, IL (USA) based Managed IT Service firm FireLogic. He has 13+ years of IT industry experience spanning the private and public sectors. His firm specializes in providing SMB clients with managed IT support, consulting, and training. Derrick is a long-serving member of CompTIA's Subject Matter Expert Technical Advisory Council that shapes the future of CompTIA exams across the world. In addition to being an IT industry speaker, his work has been academically published in The Journal For Social Era Knowledge. You can reach him via email at derrick@wlodarz.net.